I went to see Man of Steel and while I enjoyed the origin story of Superman in this reimaging the ending left me a bit shocked. I am not sure I want to see this one go on to a sequel. The story opens and spends the first half of the movie as Clark Kent… only not as the reporter from the original cannon. Clark was a drifter going from place to place and not accepted the opening sequence on the oil derrick was amazing. I also enjoyed the discovery of his powers and how he learned he could fly… then the villains arrived. I rather enjoyed this General Zod and his phantom zone escapees… however, I did not like the way that the movie ended. I have marked the rest of my review as a spoiler, please be warned that if you have not seen the movie it will reveal the climax of the ending. The superman of my childhood would never, ever kill under any circumstances… while this one by all logic did what had to be done as many humans would have died if he did not take a life, I just couldn’t accept the the ending where he killed General Zod I sat there in total disbelief and shock. You could hear a pin drop in the theater as everyone there seemed to have the same shock level. I am not so inclined to want to go see a sequel if he is going to be the executioner of the evil ones… in some way this has tarnished Superman in my heart. 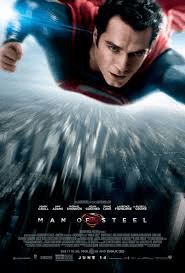 Henry Cavil did an excellent job in portraying Superman… I even liked the updated costume. The movie would have been perfect if General Zod was somehow sent back to the phantom zone, but I am still trying to get over Superman killing him.